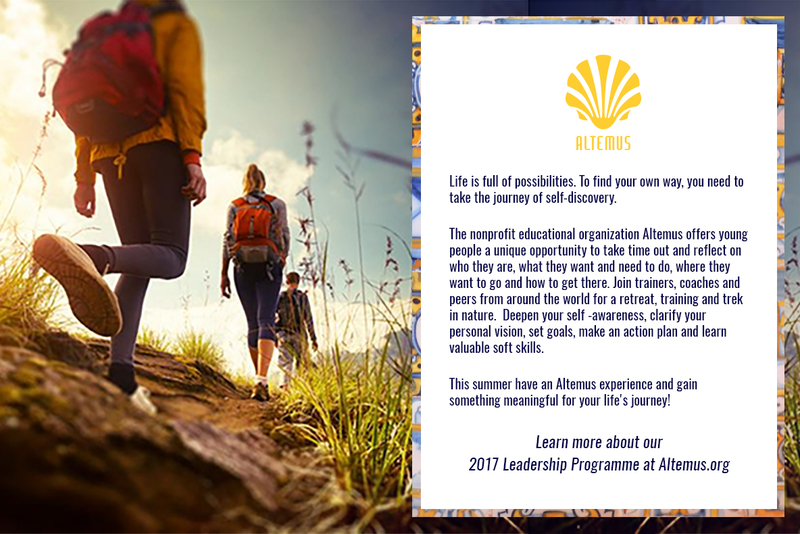 We are pleased to inform you that the 2017 Altemus Leadership Programme (ALP) is now open for application. We are pleased to circulate herewith our Annual Report for the year 2016. In this report, we have compiled a summary of all the activities, publications, finance report, declarations, and photos pertaining to the activities that took place during the course of the year. We would like to take this opportunity to thank all our member organisations, partners, sponsors, volunteers, and youth from around the world, for making those activities meaningful and successful. We would like to share a wonderful opportunity to engage with young leaders from all over the world during the Global Peace Youth Exchange (GPYE) from February 26 – March 4, 2017 in conjunction with the Global Peace Convention 2017 in Manila, Philippines under the theme of “Moral and Innovative Leadership: New Models for Peace and Development”. Thousands of young leaders will be empowered to take initiative, leadership, and ownership to achieve the Sustainable Development Goals (SDGs) by 2030. WAY is a proud on-going partner of GPYE starting from Thailand where we convened at the UN ESCAP (Economic and Social Commission for Asia and Pacific) headquarters in October, 2016. We found the delegates to be serious, dedicated and forward thinking and believe that each of them will make great contributions in their respective nations. The GPYE is a great platform for young people and representatives of National Youth Councils to enhance their efforts towards achieving the UN SDGs and making a collective impact in their community. Kindly do find herewith enclosed the GPYE brochures for your kind perusal. 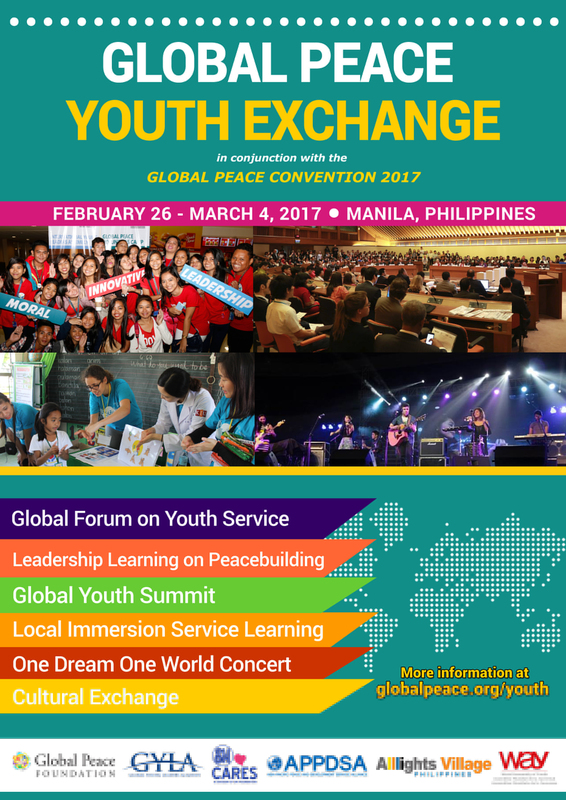 For more information and application to this program, please do visit: https://www.globalpeace.org/event/global-peace-youth-exchange-philippines-2017. We look forward to seeing you in Manila.